Best known for music, food and culture, the city of Memphis has a rich and diverse history that impacted the kind of community it is today. With a strong local economy based in agriculture, tourism, shipping and more, Memphis is a fine place to call home. Residents of Memphis are constantly bragging about the quality living they have in “Blues City.” No matter what neighborhood they live in, Memphis residents have the best of the city’s amenities to enjoy. 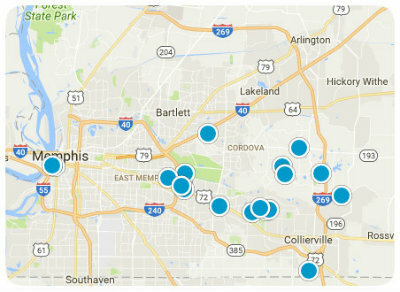 Memphis real estate is highly desirable, and many home buyers find the diverse neighborhoods charming and unique. The homes for sale in Memphis include a wide range of house styles and prices, so there’s something that is just right for every buyer. It’s no wonder that buying a home in Memphis is at the top of so many people’s desires. 3 bed 2 bath with unfinished bonus room above garage.